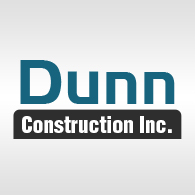 Dunn Construction Inc. is a family owned and operated excavating contractor in Bellevue, IA serving residential and commercial customers throughout Jones County, Clinton County and East Iowa. Our experienced team provides the highest quality of service for every type of excavation, demolition and land clearing project you need. In business since 1972, you can depend on our professional excavators to complete your custom job on time and within budget. Call 563-872-5692 today to get started! Reviews for Dunn Construction Inc.